This post is part of the official blog tour for Hild. As a rule I like historical fiction, and when I think about it a lot of the historical fiction I’ve read has been set either in the early 20th century (including several things set during World War II), or only slight before that, i.e. the 18th and 19th centuries. But here we have a novel, an ‘epic’ no less, set in the 7th century. That’s a bit more historical isn’t it? Hild by Nicola Griffith is based on the life of St Hilda of Whitby who lived c. 614 – 680. In this novel we see Hild grow from a precocious toddler, into a child, and into a woman. Her natural connection with nature and animals, as well as her particular way of observing the world, mean that from an early age people think of her a seer and some sort of prophet. Her father is the nephew of Edwin, King of Northumbria, and in her position as both the king’s niece and seer, she experiences the trials and tribulations of the court firsthand. As the novel goes on, she becomes increasingly aware of the fact that as a member of the court, and especially as someone perceived to have some sort of power, she is constantly observed. At times this gives her confidence and authority, but at others it makes her tired and desperate for a ‘normal’ life. By her late teens she is known all over the north of England (and possibly the rest of mainland Britain) as someone who has visions, has the ear of the king, and could either kill you or make you part of her household. She is also quite tall for a girl and more than once is compared to a totem, which would also have given her an edge of power. I say ‘would’. Though Hild was a real person, Nicola Griffith has been open about the fact that she had to invent the intricacies of her life*. Our only source about Hild is Bede, who writes mostly about her role in the Church (which came later). 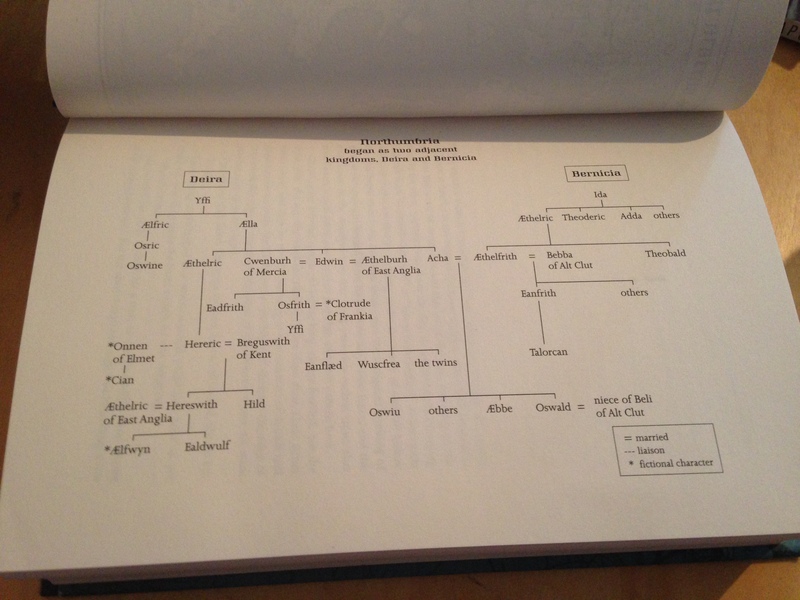 So, Griffith had to fill in the gaps in Hild’s life with her knowledge of the 7th century and of Edwin’s court (or at least how a court would have operated at the time). As the story is set so far into the past – 1400 years! – I think even the biggest stalwart for accuracy could forgive some creative licence here. While reading I did not think about this at all, as I was just enjoying the book so much and adored spending time with Hild, in her world. Worldbuilding is something usually associated with science fiction and fantasy, but it plays a very important role here too. For though Hild is set in our world, it is a totally different version of it, and it exists separate from us. It is Britain, but there is no government, no method of long-distance communication other than sending a messenger, and the notion of being ‘British’ means something entirely different. At this point England does not really exist, not as we know it anyway. In this sense it is alien, but to know that we came after this creates a deep connection to this period of history, in this book. The people in 7th century Britain are warriors, priests, housewives and servants – they were ‘us’ before we were. They are where we come from. Whether or not this is historically accurate I don’t know, but it’s how the book made me feel. The world that is created is entirely vivid and three-dimensional. It is a warm, visceral world in which life feels extremely real – and the same goes for the characters. I was completely fascinated by Hild, partly because she was a real person but also because the character is so well developed. I was in awe of her for the entirety of the novel and willed her to succeed and survive, and be happy. I loved her relationships with Begu and Cian, as well as the complexity of her relationship with Gwladus. In the early parts of the novel when Hild is very young, there is quite a dreamlike feeling to the text, which reminded me of Old English stories like ‘Gawain and the Green Knight’. Dreams were an important part of Hild’s reputation as a seer, a reputation that came from her mother’s dream, before Hild was born, of having a child that would be ‘the light of the world’. But as Hild gets older and more involved with court life, the book feels more and more real and believable in that sense. In the last third, without giving anything away, there is a quite a lot of drama and action, and Hild’s life begins to change, as do her relationships and her role in society. We inhabit the world of the novel with her and see things as she does, but there are also some incredible moments when we see her from someone else’s perspective – as this strange tall girl with so much mystery around her, someone they are slightly afraid of and don’t quite understand. She is a mystery to all but a few and has a very interesting role and status within society, as she is part of the court and related to the King, but her position depends upon her ability to ‘get things right’ and correctly ‘see’ what will happen. She is safe as long as she says what Edwin wants to hear. A question that was in the back of my mind throughout the novel, and that came to the forefront once I had finished it, was how to connect the Hild of the novel to the figure of St Hilda that we are aware of today. Hild is born into a pagan world where omens from birds and prayers to Woden govern people’s spirituality – a world connected to nature and things you could see and feel. And Hild herself is declared to be a seer, a prophet – something that doesn’t quite fit in with our image of Christianity. In the 600s Christianity was still new to Britain, and was regarded as something strange and difficult to understand – which in turn is strange to us now, we who live in a world molded by the spread of Christianity. It is a religion that is not only known to us but one that has shaped the history and identity of our little Kingdom. So what would it be like to live in a world where Christianity is new and alien? Where its rituals and rules don’t seem to make sense, and where most people have no concept of sin or Satan? This is one of the most fascinating and brilliant elements of the novel, as we look back with our modern knowledge on these newly converted Christians still referring to ‘the Christ god’ and asking to be reminded what a sin is supposed to be. In a way I envy their freedom from our world that is still so governed by the rules and beliefs of organised religion. They have not experienced Catholic guilt, or disputes between denominations that lead to war, or rules that try to control how we live, who we love, and when and how we love them. Some readers have commented on the fact that Hild is attracted to both men and women, and asked questions about how this would have been perceived in her lifetime. Though it might have existed, in the novel we hear no objections to her being with women – though at one point she wonders if the Church will eventuallly try to control our personal lives. She dismisses the notion as irrelevant, but I couldn’t help feeling a sense of dread, knowing the later, and still current, opinions of the Church on how you conduct your personal life, and the effects and consequences that these rules can have. Just look at how religion influences abortion and birth control laws, and the investigation into the mother and baby homes run by the Church in Ireland. I was glad for Hild that she lived in her world. In the end of course, she became a saint. As a teenager she was baptised with the rest of Edwin’s court, but by the end of the novel – at which point she must be in her late teens – she has not yet entirely dedicated herself to her new religion. Bede’s account states that she joined the Church officially in her early thirties, becoming a nun and going on to become Abbess of her own convent, for which she is known today. I would love to learn more of her path from being a newly baptised, still-quite-pagan teenager, into an Abbess and a saint. 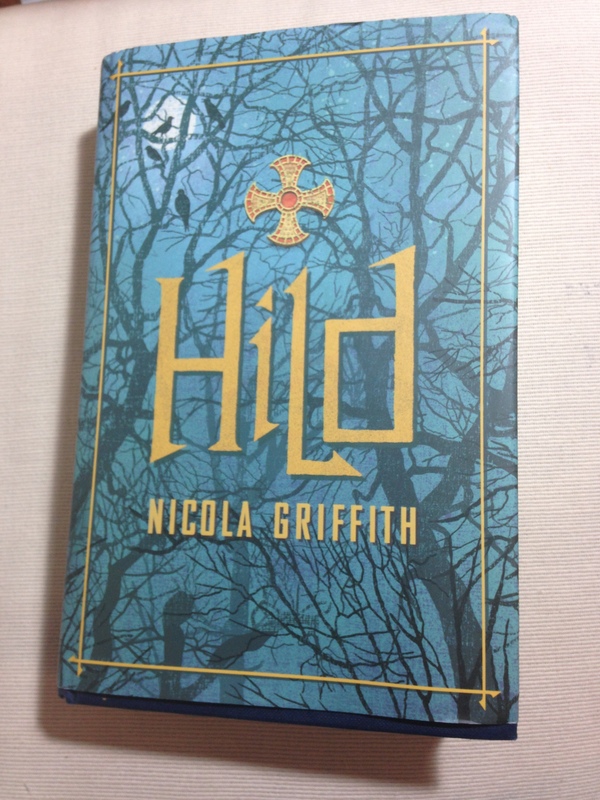 Luckily, Nicola Griffith is already writing about the next stages of Hild’s life – so we may hear about how her role and her beliefs progressed, in some form. Of course we can only speculate, but if doing that produces such wonderful work as Hild, then I am all for it. As you can see I loved reading Hild, and I would recommend it to anyone interested in the period, or the Medieval world, or indeed anyone who enjoys fantasy as it has some common elements. It is a very rich book, filled with life and passion, and humanity in all its glory and all its flaws. It is over 500 pages and took me a while to read, but I enjoyed languishing in Hild’s world and accompanying her on her journey. Don’t be put off by the length or the ‘seriousness’ of it – Hild is well worth the effort. Published in the UK by Blackfriars Books on 24th July 2014. My copy as kindly provided by the publisher for review. *You can read more about Nicola’s research and writing process on her blog. 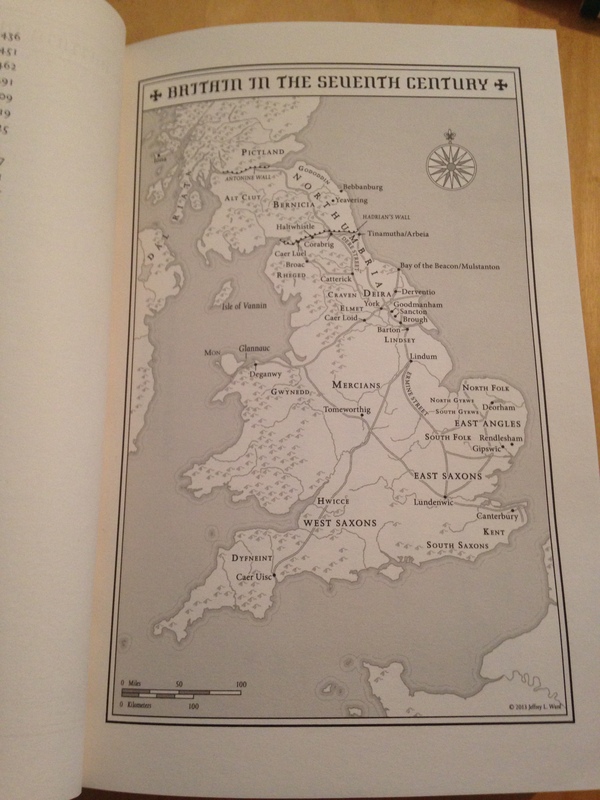 If you have a copy of Hild the Afterword also documents Nicola’s journey with Hild. I also recommend this review of Hild over at She Reads Novels.